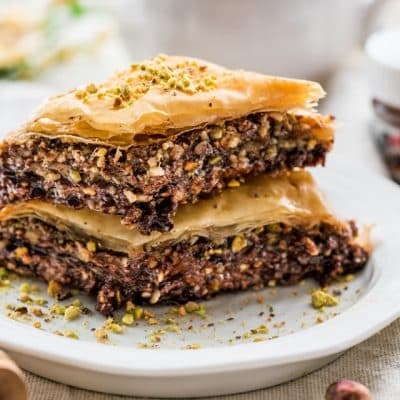 This Chocolate Baklava is one of my favorite desserts. 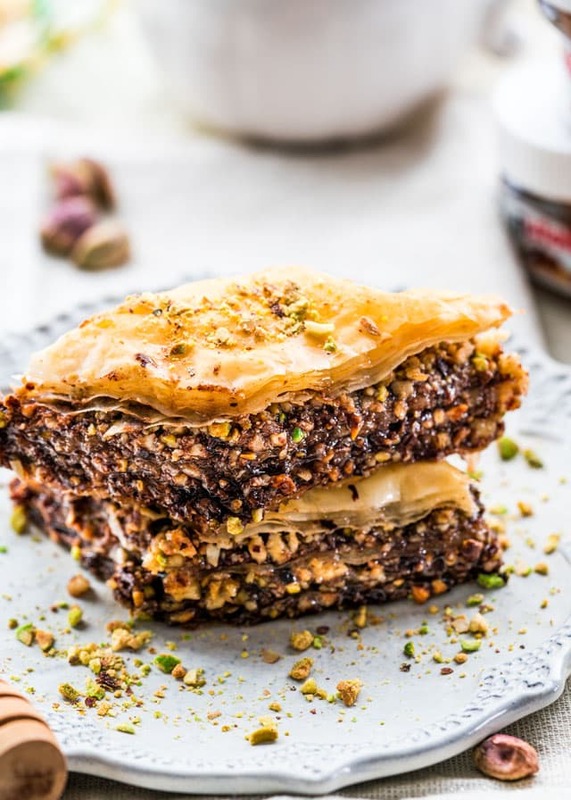 Sweet, crisp and buttery layers of phyllo filled with pistachios, walnuts, almonds, hazelnuts and Nutella, baked to perfection then drizzled with a sweet honey syrup. 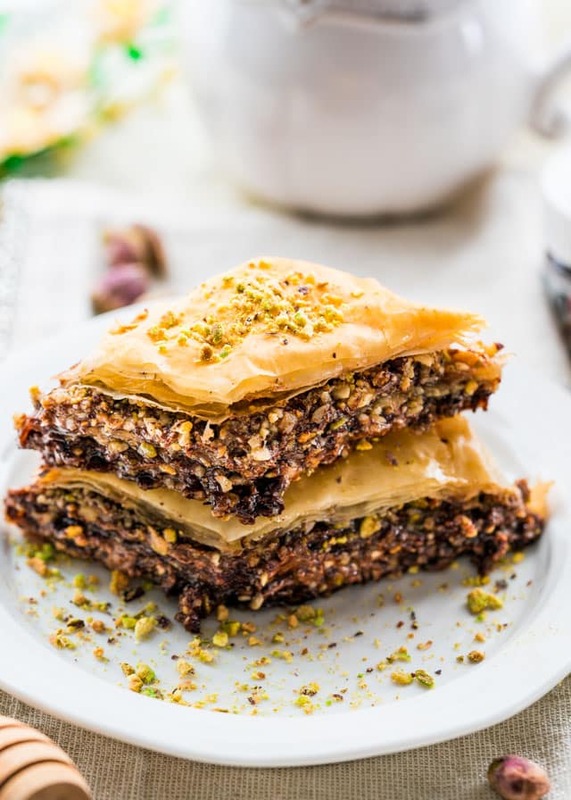 I am a sucker for crispy sweet pastries like baklava that are loaded with nuts such as pistachios and hazelnuts. But when you add Nutella to it, it just turns this wonderful dessert into an out of this world dessert. And that’s what this chocolate baklava is. 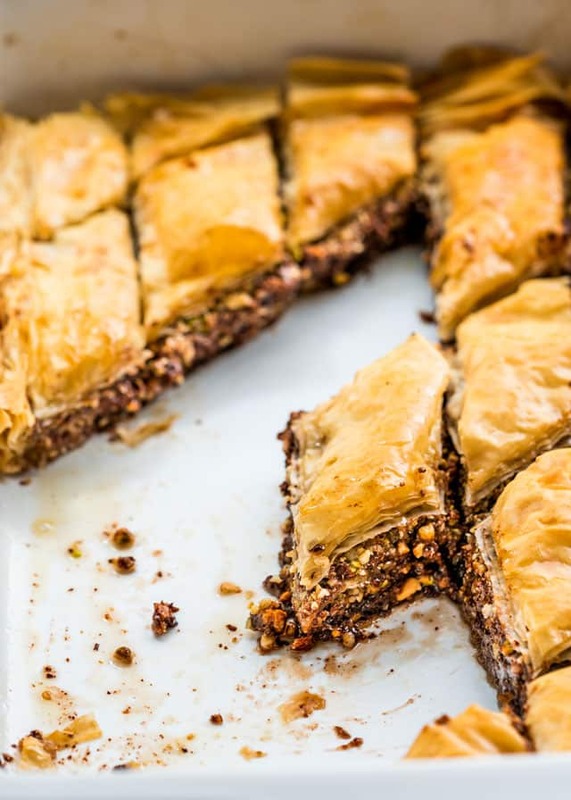 Crispy, sweet, chocolatey, nutty, this baklava has it all. 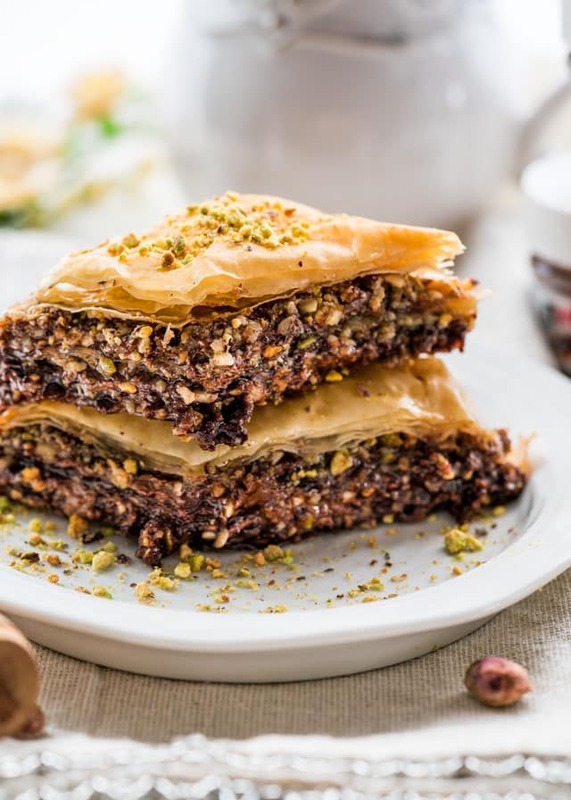 All you need to do is bring your appetite because this recipe will make lots of baklava, enough to even share with your neighbours if you choose to do so. 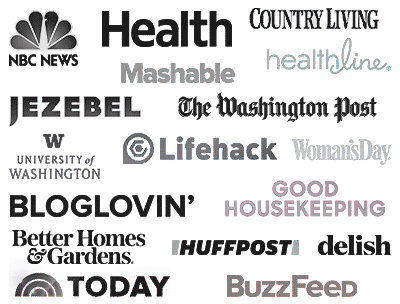 Let’s talk nuts. I used 4 different kinds of nuts here, but you don’t need to. I chose almonds, hazelnuts, pistachios and walnuts. You want to make sure you toast them all first if they aren’t already roasted, and then just chop them in a food processor. You’ll need about 2 cups of nuts altogether, so if you choose to only use walnuts and pistachios for example, just use a cup of each. Believe it or not, to actually make baklava is quite simple. You just have to be aware of a couple things. First of all, when working with phyllo sheets, you always want to make sure you cover your phyllo sheets with a clean damp kitchen towel. This is very important as it will keep your phyllo sheets from drying out and nobody wants to work with dried phyllo sheets. That’s when the frustrations start to happen. The other thing to note is that each individual sheet needs to be brushed with butter. Trust me, you may think that’s too much work or even too much butter, but it’s really important. This way each sheet will be nice and crispy and you won’t end up with a soggy baklava. Trust me, you don’t want a soggy baklava. Then really, that’s all there is to it. You basically just lay a sheet on your baking sheet and brush with butter, then repeat. You want to get about 6 sheets together, then you add your Nutella and nuts, and then simply repeat. You want to end up with 3 layers of Nutella and nuts, so that means 4 layers of phyllo sheets at 6 sheets per layer, you’ll need 24 sheets in total. After you bake the baklava you drizzle it with the honey cinnamon syrup. This is what will give the baklava that sweet taste that we all know and love. Your house will smell incredible, your dessert is out of bounds delicious, trust me, you will impress your family and friends. The question remains, can you eat just one piece? Try some other variations of baklava like a traditional Baklava, or my Pistachio Baklava! Preheat your oven to 350 F degrees. Lightly spray a baking sheet with cooking spray. If you use a 13x9 baking dish, the phyllo sheets will be bigger, so you might need to cut the ends off, either before using them, or after you've done layering the baklava, or you can simply tuck the ends in. 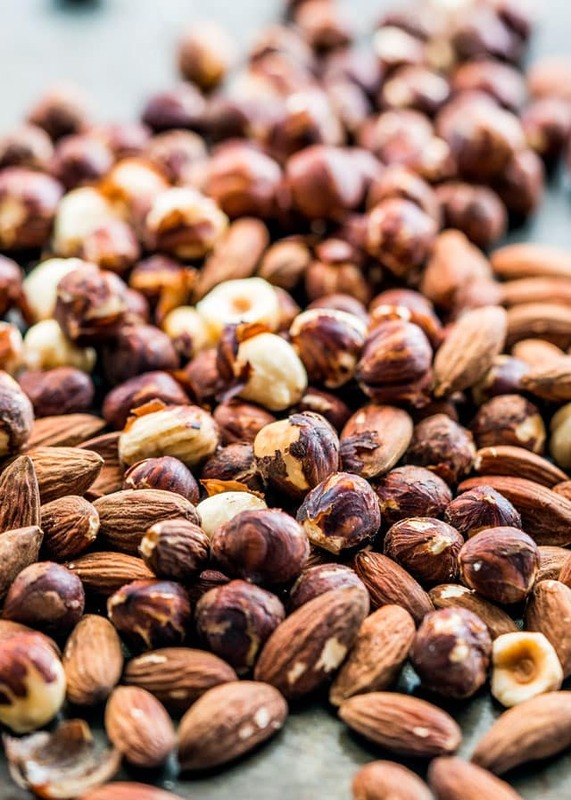 If your nuts aren't toasted, simply place them on a baking sheet in a single layer and roast them for a few minutes in the oven, just until you start smelling them. Make sure you don't forget them as they will burn quickly. Place all the nuts in a food processor and pulse a few times until they are finely chopped. Combine all the nuts with the ground cinnamon and salt in a bowl and set aside. Microwave the Nutella for about 30 seconds on high, until melted and easily spreadable. Take one phyllo sheet and lay it on the bottom of the baking sheet. While working with one phyllo at a time, make sure you cover the other sheets with a damp towel. Brush this phyllo sheet evenly with butter. Repeat with 5 more sheets, you should end up with 6 sheets, all brushed with butter. Drizzle about 1/3 cup of the melted Nutella and spread with a spatula as evenly as you can. Sprinkle evenly with 1/3 of the nut mixture. Repeat the above step with 6 more phyllo sheets, Nutella and nut mixture, two more times, ending with 6 sheets of phyllo. Therefore you'll have 3 layers of Nutella and nuts and 4 layers of buttered phyllo sheets. Press gently into pan. Cut the ends off if necessary, or simply tuck them in. Cut into equal size squares or diamond shapes, using a very sharp knife.. You should end up with about 24 pieces. Bake for 35 minutes or until phyllo is golden brown and the edges appear slightly crisp. 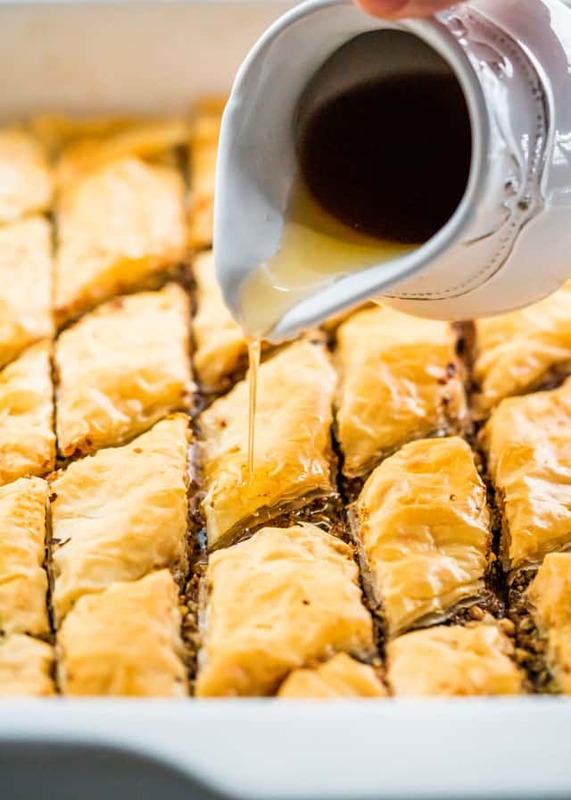 While the baklava is baking, make the syrup by adding all the syrup ingredients in a small saucepan and bringing it to a boil over medium heat. Turn the heat down and let it simmer for about 5 to 7 minutes. Remove from heat and keep warm. After you remove the baklava from the oven, immediately drizzle the honey mixture over the baklava. Cool the baklava in the pan. To thaw out the phyllo pastry I usually take it out of the freezer the night before, and thaw it out in the fridge over night. 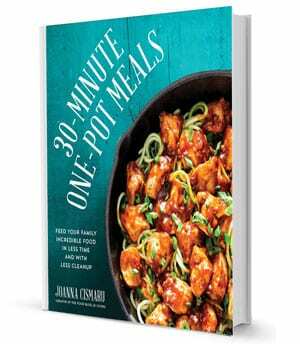 About an hour or two before using it, I place it on the counter to bring it to room temperature. The secret to crispy layers of phyllo is brushing each layer with butter or oil. This helps them crisp up when baked. Phyllo is extremely thin and delicate, and needs to be handled with care. Only work with one sheet at a time, and cover the rest with a clean damp towel, this will prevent them from drying out. I usually store the baklava in the fridge, right in the pan covered with plastic wrap for up to 5 days. You can even freeze baklava wrapped in plastic wrap then placed in an airtight container, for up to 3 months. Thaw at room temperature for 4 to 5 hours or overnight in the fridge. Looks great…think I’ll try it with walnuts…maybe wild walnuts that have such a unique flavor!